14 Şubat 2019 Perşembe 14:02 - 10 reads. 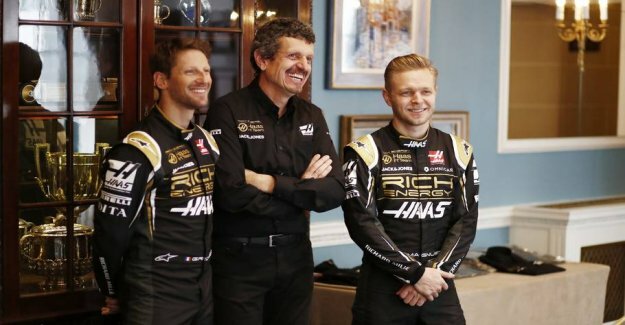 Last year was the Haas team vintertestens big surprise. the Move appeared genuine, and from the beginning of the season was VF18'eren the fjerdehurtigste car, even if the drivers - in particular, Romain Grosjean - not got the best out of it to begin with. This winter has been comparable to a year ago, and team boss Günther Steiner looks forward to is to see whether the figures from the vindtunnellen correspond with reality. - We have a similar sense at this point of the season compared with last year. We know what progress we have made. We know where we stand in relation to the new regulation. But not where the others are. I'm pretty sure that we are okay, but it can mean much, says Steiner for the Extra Magazine. Formula 1 - 9. feb. 2019 - at. 12:32 Haas-the star enjoys new vægtregler: Plugs themselves. Just the new aerodynamic regulations, which means that both the frontvinge, floor, and sides had to be designed from scratch and not as a natural development of the 2018 model allows the unknowns. - I don't think we have a bad car, but I don't know where the other stands. If you had asked me 12 months ago whether we would end up with the fjerdehurtigste car, I would never have said it, and it will I also not in years. - I know it's simply not, but I am sure that we again have a solid car, notes Haas-the boss.